Paul Fix II was interviewed by Elizabeth Shaw of Ten-tenths.com. 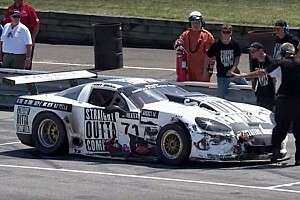 Team: Extreme Fix Motorsports "Wired Piranha Racing Team"
Paul Fix II was a Trans Am rookie in 2001. 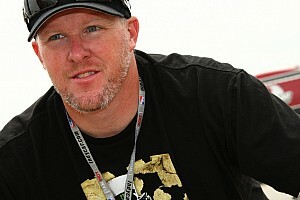 He lives in Buffalo, NY and the whole Fix Family races: his wife Lauren races historic Trans Am cars and their two children, Paul III and Shelby, race in karts. Founded in 1988, Fix Motorsports prepares race-winning cars for customers competing in SCCA, HSR, SVRA and other series; their show cars have won concourse awards in ISCA, SAAC and MCA. ES: How old were you when you first got into a racing car, and how did you decide racing was what you wanted to do? PF: I was bitten by the racing bug fairly late. Even since I got my drivers license my mother used to call me an ambulance driver. When I was 23, I tried a little drag racing at our local 1/8th mile here in Buffalo. I couldn't stand waiting all night to do a few runs. So a year later I started Autocrossing (Solo II) with the SCCA, driving my '66 Shelby GT 350. Then participating and then instructing driving schools with Shelby and BMW clubs. My wife and I started Driving Ambitions High Performance Driving School in 1988 at Watkins Glen and the rest evolved from there. The thrill of speed and G forces really made me realize that road racing was where I wanted to succeed. ES: Is your family supportive of racing as a career? PF: My wife has always been my biggest supporter. In fact, she was my first driving instructor at a BMW school and currently races herself. She knows that racing is what I want to do and she supports me by doing all of my marketing, public relations and sponsorship hunting. Our children Paul III, 8 and Shelby, 10 have been racing go karts for the last 3 years and have been extremely supportive in the pits. 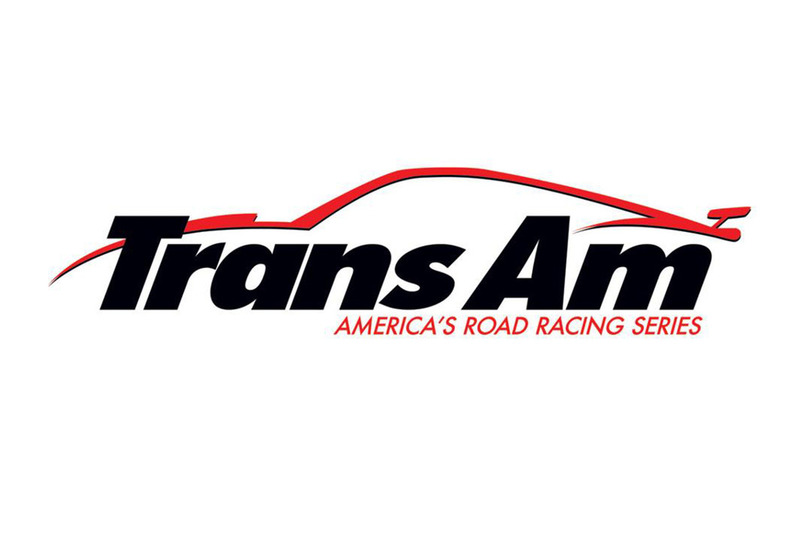 ES: What do you like best about racing in Trans Am? What's the hardest thing about it? PF: I love the cars that make up Trans Am, the history, technology and speed. There are so many difficult aspects to competing; from the endurance and Skill for the driver, to the set up and gearing for the cars. It all adds up to a very competitive atmosphere and that drives me to succeed even more. ES: What was your most significant race in 2001? ES: When do you start testing for the 2002 season, and what changes (generally speaking-don't reveal any trade secrets!) to the car have you made for the coming campaign? PF: We won't be able to start testing until March. We'll work on some wing, gearing, reliability and just plain seat time. There will be more to announce but we are unable to release anything yet. We will let you know soon. ES: Will you be racing at Daytona or Sebring this year, or does your season start with Miami in April? PF: I have intentions of racing one of those in the near future but unfortunately not this year. We are planning on the whole 2002 season. ES: What advice would you give to a young person who wants to break into sports car racing today? PF: Start go karting at a young age. More importantly, get a great education and continue on to college. In High school, don't take for granted courses like Physics, English or Mathematics. These will be a good foundation later on, so you can converse with your engineer and crew chief, do interviews and be a well-spoken spokesperson for your sponsor. If things don't work out pursuing a career in road racing you can use you education to make a good career in another field or even finance your own ride. ES: Finally, what do you like to do when you're not working or racing? PF: I love being with my family, crewing for my son and daughter in go karting, and restoring vintage race cars. 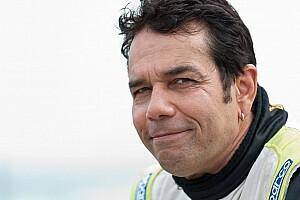 You can learn more about Paul Fix II, and follow his Trans Am season, both here at RFM Sports and at www.paulfix.com where he invites you to "Stop by our pit and support the Wired Piranha Racing Team - Ready to Eat the Competition!"